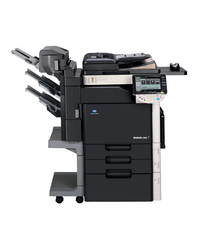 bizhub C353/C253/C203 enables small- to mid-size departments and workgroups to benefit from economical color printing. Konica Minolta Business Solutions U.S.A., Inc. (Konica Minolta), a leading provider of advanced imaging and networking technologies from the desktop to the print shop, today announced the introduction of three new multifunctional products (MFPs - print, copy, fax, and scan all in one system) designed to provide outstanding color output for color environments and replace monochrome products. 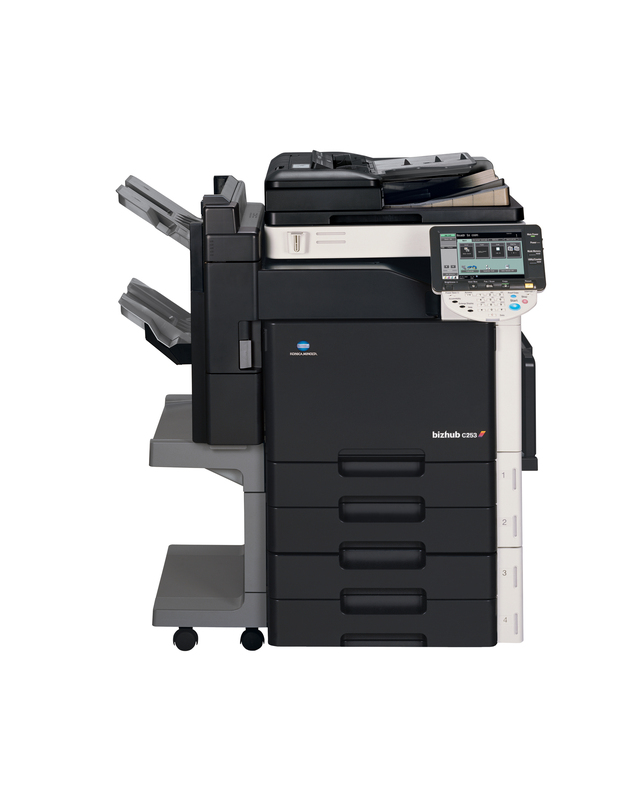 The bizhub C353, bizhub C253 and bizhub C203, which are ideal for small- to mid-size departments and workgroups, feature many of the same extensive security, printing, copying and scanning features found on Konica Minolta bizhub™ MFPs geared toward large organizations. All three newly unveiled networked MFPs enable organizations to have a centralized "hub" that allows them to improve their workflow efficiency and document management with a comprehensive and cost-effective color solution. The bizhub C353, bizhub C253 and bizhub C203 devices offer outstanding standard security capabilities, so that confidentiality and protection against data theft is available at all levels. 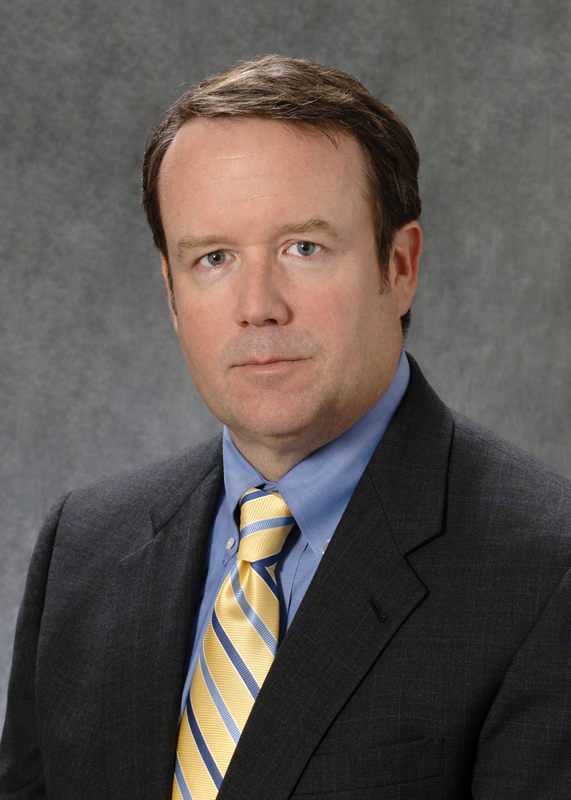 "The bizhub C353/C253/C203 MFPs provide our customers with an ideal fit for color environments," said Kevin P. Kern, vice president, product planning and marketing, Konica Minolta Business Solutions U.S.A., Inc. "These products prove just how easy and cost-effective it is to migrate to color printing, and if you're already using color, how seamless it is to upgrade to higher-quality machines. Best of all, these products leverage Konica Minolta's complete platform of new imaging and networking products across numerous printing segments." The trio targets Segments 1, 2 and 3, with the bizhub C353 offering 35 color pages per minute and improved productivity across the board - whether it's duplex copy, scan speed, or warm-up time. Additionally, both the bizhub C353 and bizhub C253, which offers 25 ppm in color, are capable of supporting color output environments such as graphic arts, marketing, and advertising departments that require the capabilities that an EFI Fiery Controller can provide. Additionally, Konica Minolta was among the first in the market to support the XML Paper Specification (XPS) file format and Devices Profile for Web Services (DPWS). XPS, the Windows Vista file format, allows users to more accurately and productively reproduce the layout and color of the original document on the printed image. 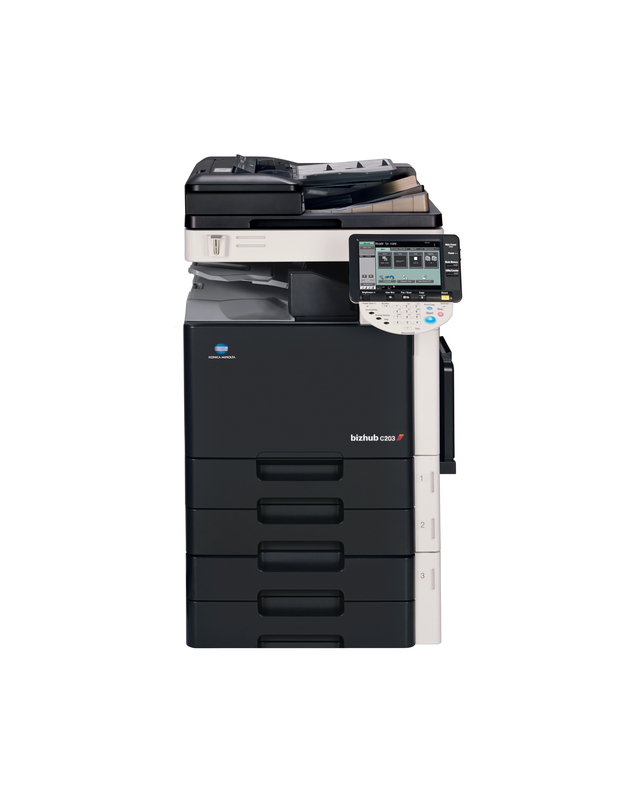 The bizhub C353/C253/C203 Series contain a native XPS interpreter designed and developed by Konica Minolta, as an extension of the Konica Minolta Emperon™ print technology, designed to take full advantage of this exciting new document format. DPWS, Microsoft's new Windows Vista protocol, makes it possible to deliver improved network connectivity, allowing the user to search and install MFPs and print devices more easily. In addition, the technology provides an optimized user experience for sending and receiving documents on the network. "Our close integration with Windows Vista is key to our commitment to provide the optimal user experience that comes from using a Microsoft certified integration strategy, which extends to drivers and overall system integration," added Kern. "Our customers are already enjoying the fact that our award-winning line of MFPs and network printers now work seamlessly with the XPS file format, and quickly noticed the added benefits and convenience provided by our integration with DPWS protocols." InfoLine status reporting with new LED lights. Biometric Authentication Unit provides high detection accuracy; vein patterns of a finger are scanned, encrypted and stored and are used to distinguish individuals. Support for IPv6 next-generation Networking Protocol. ICC Profile Support with Emperon Print System. Emperon controller enhancements include higher processing speeds, unification of printer drivers (PCL/PS/XPS), advanced user box editing and storing capabilities and user box thumbnail preview. Encrypted Network Password Printing support allows administrators to enter their own encryption passphrase (factory-default encryption passphase is standard). With all three machines, customers will be able to more easily manage their workflow due to the versatile, modular and highly productive multifunctional capabilities such as scanning and faxing for input and document archival (scanning), print and copy modes for output and PageScope Utilities for managing the data as well as managing the network. In addition, their data and the device itself will remain secure and will only be accessible by authorized users. Simitri® HD Color Polymerized Toner for superior color print quality. Next-generation security with award-winning Hard Drive Overwrite security function, Job Erase, Account Track, IP Address Filtering, LDAP Authentication, optional Biometric Authentication Unit and other high-level standard security features. 8.5-inch color LCD display control panel to preview data and display thumbnail images to view the job before it prints. The panel can be tilted both vertically and horizontally for enhanced Section 508 compliance. Reversing Automatic Duplex Unit (ADU) for double-sided color and B&W printing and copying at 100% productivity with speeds up to 35 opm. Network scanning: Email, FTP, SMB (Desktop), User Box (HDD), WebDAV, TWAIN, and WS-Scan. PCL6 (emulation), PS Level 3 (emulation), and XPS (XML paper specification) printing. bizhub Send Feature allows documents to be scanned to SMB, Email, FTP, WebDAV, FAX, and User Box simultaneously. 1,150 sheet standard paper capacity. Thick paper support for all trays; up to 68 lb. (140 lb. Index) paper; up to 100 lb. cover through the bypass. Ability to restrict color output. Section 508 compliance for easy access. Biometric Authentication Unit (AU-101) for added security and one-touch printing. Modular Finisher (FS-519) for corner and 2-position stapling. Punch Kit (PK-515) for 2-/3-hole punching capability. Saddle Kit (SD-505) for half-fold and saddle-stitching up to 60-page booklets. Mailbin Kit (MT-502) for printer addressable output. Job Separator Tray (JS-505) for separating print, copy, fax, and report output. Large Capacity Tray holds up to 2,500 letter-size sheets for a total paper capacity of 3,650 sheets. Desktop faxing capabilities with optional fax kit. The bizhub C353, bizhub C253 and bizhub C203 are available now through Konica Minolta's North American direct sales, authorized dealer and value-added reseller channels. The manufacturer's suggested retail price (MSRP) for the bizhub C353 is $12,965; the bizhub C253 is $10,315; and the bizhub C203 is $9,165. Konica Minolta Business Solutions U.S.A. Inc. (http://www.kmbs.konicaminolta.us), a leader in advanced imaging and networking technologies for the desktop to the print shop, brings together unparalleled advances in security, print quality and network integration via its award-winning line of bizhubTM multifunction products (MFPs); bizhub PROTM production printing systems; magicolor® desktop color laser printers and all-in-ones; and pageproTM monochrome desktop laser printers and all-in-ones. Konica Minolta also offers advanced software solutions, wide-format printers, microform digital imaging systems, and scanning systems for specialized applications. Konica Minolta is a trademark of Konica Minolta Holdings, Inc. bizhub and Emperon are trademarks of Konica Minolta Business Technologies, Inc. Simitri is a registered trademark of Konica Minolta Business Solutions. All other trademarks mentioned in this document are the property of their respective owners. Konika Minolta Business Solutions U.S.A. Inc.